At The Cleaners, we are committed to protecting your privacy. We use the information we collect about you to provide an efficient customer service. When you request information about our services we may need to know specific information about you. This enables us to process your request more efficiently and reply to your needs promptly. Our site's contact forms require users to give us contact information (like your name, e-mail and address). We use customer contact information from these forms to provide you efficiently with the cleaning services you request or to send you information about our company, including promotional materials. We use this data to assess our ability to meet your needs and to distribute content that we think you might be interested in. Users may opt-out of receiving future mailings at any point. This site may contain links to other sites. 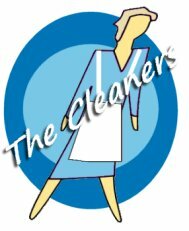 The Cleaners is not responsible for the privacy practices or the content of such websites. We will not pass your information along to the linked sites. We cannot protect your information if you provide information to that site. We may also use the information we collect to occasionally notify you about important changes to the website, new services, and special offers and information we think you'll find valuable. If you would rather not receive this information, please contact us via email or post. How does The Cleaners protect customer information? Will The Cleaners disclose the information it collects to outside parties? The Cleaners does not sell, trade, or rent your personal information to others as a matter of standard policy. 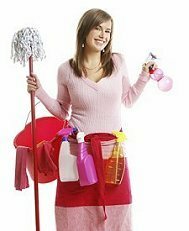 How do I let The Cleaners know if my details change?